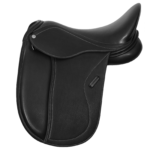 The Bonita Pony Dressage saddle is the perfect saddle for young riders, or petite adults who would like an adjustable dressage saddle not only designed for optimal performance but for optimal shoulder freedom and back health for their pony. 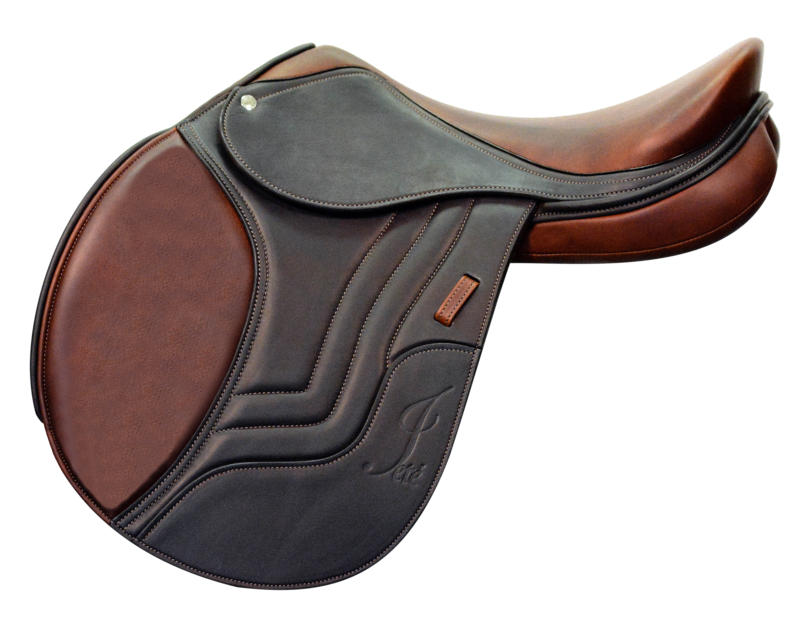 I recently had the chance to try a saddle that finally fits me! 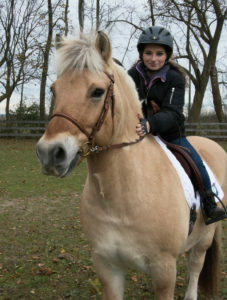 I rode in the 16″ Schleese Bonita dressage saddle. I only stand at 4’3″ tall and the first issue is my leg length in comparison to flap length and being able to have a physical contact and connection with a horse! 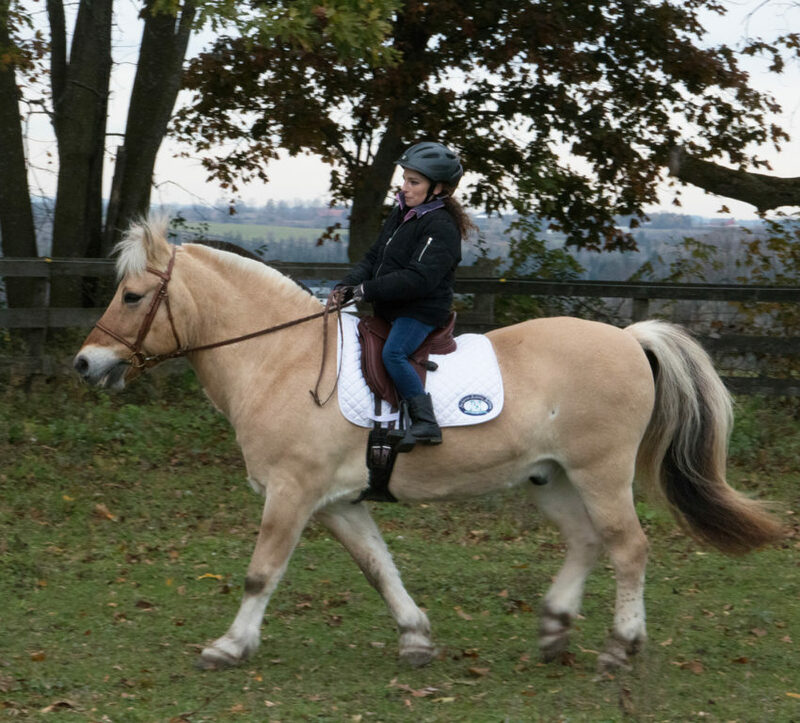 The second issue I usually face is the fact saddles are way too wide and stretch me to the point of doing the splits while riding and tearing my muscles in the groin from stress and too wide a twist. Although I may be the height of a child, I am nonetheless a fully grown 25-year-old woman, with developed hips and pelvis just like an average height woman. 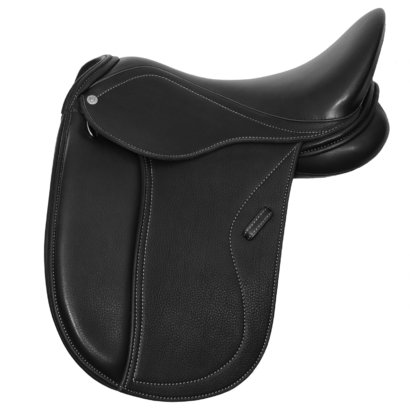 The Bonita may be considered a pony saddle and more a saddle for younger children, but really any petite rider would be amazed at the comfort and connection it can bring to horse and rider, it’s astounding! I recommend any petite ladies or gentleman to give it a try and disregard the fact that it’s a “youth and pony” saddle. It’s just another saddle model made to perfection by Schleese to cater to petite statured people of all ages! Designed with a Lightweight FlexTree with an adjustable gullet plate. Female seat with 8.5 cm round cantle. 1/2 semi-integrated with shoulder relief panels and short wedge panels. Wide gullet channel provides sufficient spinal clearance. Long billets – 1st billet on point. 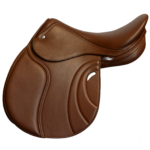 The adjustable thigh blocks give the rider the flexibility to adjust the leg support to their personal preference.